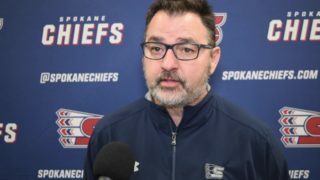 SPOKANE, Wash. – Spokane Chiefs goaltender Donovan Buskey picked up his first career WHL shutout and forward Luke Toporowski scored his first career WHL goal on Saturday night at Spokane Arena as the Chiefs exploded for seven goals in a 7-0 win over the visiting Prince Albert Raiders. 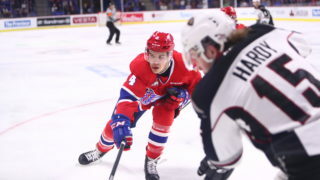 Team-leading scorer Hudson Elynuik opened the scoring for Spokane just 1:12 into regulation with his 12th goal of the season, followed by defenseman Dalton Hamaliuk potting his first of the year off a nice centering feed from Toporowski at the 16:05 mark to make it 2-0. Nolan Reid reached double digits on the season with his 10th goal at the 5:56 mark of the middle frame, capitalizing on a sneaky pass from behind the net sent in front by Eli Zummack. 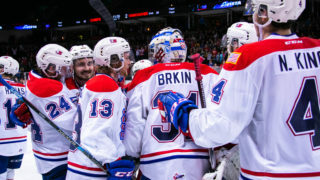 Elynuik earned his first of three assists on the night just over five minutes into the third period as team captain Tyson Helgesen batted a floating puck out of mid-air to make it 4-0. Elynuik and Zach Fischer paired up twice in a row later in the third as Fischer scored his sixth and seventh goals of the season off set-ups from Elynuik. Toporowski fired the puck from inside the left circle at the 18:09 mark of the third, snapping home his first goal off assists from Zummach and Jake McGrew to reach the final 7-0 score. The Chiefs controlled the game, outshooting the Raiders 48-13. 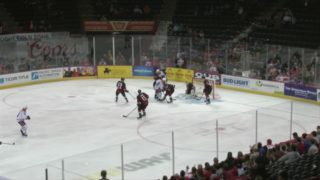 Spokane finished 1-for-2 on the power play and 1-for-1 on the penalty kill. 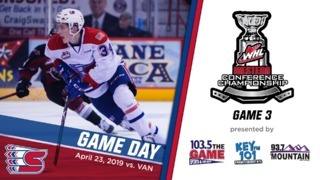 Spokane closes out their three-game homestand on Wednesday, November 22 against the Kelowna Rockets. It will be the third TicketsWest Player Magnet Giveaway of the year, as the first 1,000 fans through the gates will receive a refrigerator magnet featuring a Chiefs player. 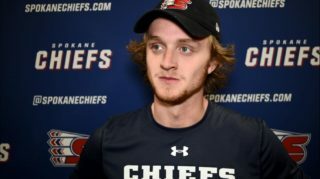 Tickets for Wednesday night and all Chiefs home games are available in-person at the Chiefs’ Ticket Office, over the phone at 509-535-PUCK and online at spokanechiefs.com.